EMC Acquires DSSD – But for What? 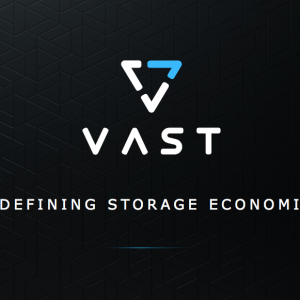 One of the interesting announcements from the recent EMC World event in Las Vegas was the news that EMC are acquiring stealth startup DSSD. Not a great deal is yet known about this company, as they are not currently shipping any product (and presumably don’t have any existing customers). However we do have a few insights. 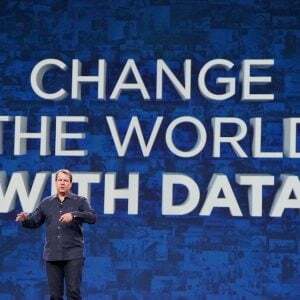 Last year, StorageMojo, AKA Robin Harris wrote a blog post with some additional background, highlighting the fact that DSSD was put together by Andy Bechtolsheim (co-founder of Sun Microsystems), with Jeff Bonwick and Bill Moore. Bonwick was on the team who developed the ZFS file system. Robin cites lots of patents and background material referring things such as “Cubic RAID” and “multidimensional RAID” although it’s difficult to make sense out of what had been posted at the time. Following on from Robin’s post was another from Gigaom, putting more background into the discussion and indicating that the basis of DSSD’s technology revolves around modules consisting of flash, compute and a lightweight operating system based on Linux, all combining to produce a scale out architecture for Big Data applications. Now let’s forward to May 2014 and the acquisition by EMC. Onstage, in the keynote with Joe Tucci, Bechtolsheim specifically referenced their upcoming product as “the world’s fastest storage array – that’s DSSD”. He also referenced “accelerating big data and in-memory databases in real-time” and that the product was “all about Hadoop and SAP HANA”. In a later keynote from David Goulden, DSSD was referenced in terms of “server attached flash storage” that is “addressed as storage or as an extension to memory”. What we can be sure about is that DSSD is not a traditional shared storage platform. 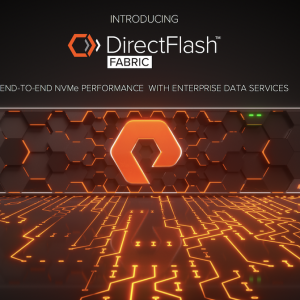 It won’t be the next VMAX, VNX or even XtremIO, as the benefit of high performance and low latency would be completely negated by using a traditional SAN fabric. What that implies is something more closely coupled with the server itself, perhaps making use of the PCI Express bus or technologies like Infiniband. These ideas make me look towards emerging hardware technologies such as A3 Cube’s RONNIEE architecture. A3 Cube has developed a PCIe-based network interface card that enables multiple servers to be connected together creating a high performance very low latency network mesh. Without delving into too much technical detail at this stage, what the RONNIEE Express Fabric provides, is the ability for direct inter-server communications by simply writing to the memory address space presented by the local device. This means a remote machine’s memory can be accessed through hardware by writing to addresses provided by the local server. Now, layer onto this hardware capable of distributing data across a network of high performance low latency connected devices, crammed with flash, using a pared down operating system for high performance and I think this is the kind of device that DSSD could be. EMC already have precedent for trying to create a device such as DSSD. Project Thunder was announced by EMC in February 2012, and within 12 months was a dead project. However things change quickly in IT and we’ve seen the rise of in-memory databases (like SAP HANA), the (relative) popularity of platforms like Hadoop and new hardware such as NVDIMM, which places all the storage in the server with non-volatility at an extremely low latency. What all this means, is two things; firstly that demand truly wasn’t there (and that’s changing) and that Project Thunder, as developed, wasn’t ready for prime time. Perhaps the technology lacked the distributed object/RAID layer that DSSD’s team can deliver, or the ability to link raw flash at scale using a distributed high performance network., rather than being a number of linked PCIe Flash cards. People like Andy Bechtolsheim aren’t going to be working on simply creating the next VMAX for EMC. The technology being developed will be a radical departure from what exists today. 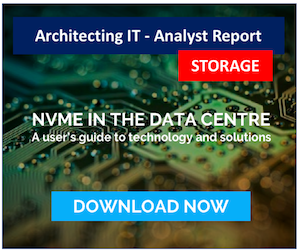 EMC are at risk of losing a lot of business to the cloud, to self-build private clouds and to whoever can harness technology like NVDIMM to build scale-out flash compute architectures. The result is DSSD and of course an extension to the EMC “tree of life model”, with branch number 5 (as described by Chad Sakac). DSSD promises to be really interesting because at this stage it appears to be something completely new, rather than an attempt by EMC simply to follow what is in the market already. Exactly how this technology will be implemented is yet to be revealed, although Bechtolsheim and Tucci said “2015 but not the beginning of 2015”, so we still have 12-18 months to find out the details. Comments are always welcome; please indicate if you work for a vendor as it’s only fair. If you have any related links of interest, please feel free to add them as a comment for consideration. Copyright (c) 2009-2017 – Post #F9FB – Chris M Evans, first published on https://blog.architecting.it, do not reproduce without permission. What Does The Future Hold For Pure Storage?